When did search become research? Typing a few keywords into Google isn’t research, yet the words search and research are often bandied about as though they were interchangeable – but is this a new problem? Surprisingly, no. The notion that the word research is used when we really mean search, is a topic that I’ve meant to look into for quite a while. It’s something that I feel a tad guilty about, after all we use the tagline – Developing Internet research skills – for the Virtual Training Suite. I set out to do a bit of preliminary Internet searching expecting to be swamped by news stories chastising students for being too reliant on Google or Wikipedia and opinion pieces saying that the Internet is making us stupid or enhancing our brains in ways that we can’t even imagine. Instead, I was drawn to an article on PubMed Central from the Bulletin of the Medical Library Association – When does search become research? by Edith Dernehl, read at the 43d Annual Meeting of the Medical Library Association at Ann Arbor, Michigan, May 29 … in 1941. She starts by neatly outlining the problem, in terms that ring true nearly 70 years later. But the student or academic should be just as careful as the commentator in their choice of words to describe their work. 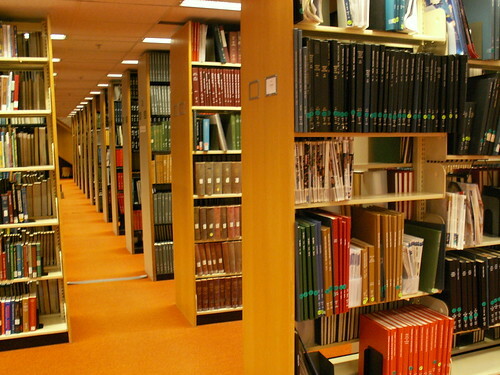 However, the librarian must treat the searcher and researcher equally. Suitably chastised that there really isn’t anything new under the sun, I’ve discovered that search became conflated with research at least as far back as 1941 and probably a lot earlier! And perhaps I won’t feel so bad about saying research when I mean search – as it’s clearly not something that has come about purely since the invention of the Internet. Two recent studies looking at student attitudes to technology have found similar themes, despite being conducted on opposite sides of the Atlantic. The ECAR Study of Undergraduate Students and Information Technology, 2010 is the annual survey of US undergraduate students that looks at their ownership, use and perceptions of technology both inside and outside the classroom. Student Perspectives on Technology – demand, perceptions and training needs is a report from the NUS undertaken as part of the HEFCE Online Learning Task Force. It took a more qualitative approach using consultation events, online discussions and an online survey of FE students. Both studies show that students think that they are good online searchers. However, both studies also reveal that students have concerns about how to use the information they find online for academic purposes. There was a common request for more skills training, particularly around how to effectively research and reference reliable online resources in the NUS / HEFCE study. Student ability to evaluate the reliability and credibility of online information and understand ethical / legal issues was lower than their assessment of how effective they are in searching the Internet in the ECAR study. Both studies show that students are cautious about the amount of technology used in teaching and prefer a blended approach of technological and traditional teaching methods. The NUS / HEFCE study shows that students prefer a choice in how they learn and that opinions are fundamentally divided over e-learning. It was recognised that not every area of study needed e-learning and that is would be more effective if it was an option, not an obligation. The ECAR study has consistently found that students only want a “moderate” amount of technology in their courses, although the definition of what a moderate amount is, is probably very different now than it was five years ago. Perhaps the most important findings to bear in mind, come at the end of the ECAR study which concludes that “many student technology adoption patterns are surprisingly stable,” but that “there is no stereotypical student when it comes to technology”. Xpert Attribution is a new tool from the University of Nottingham that can help you credit your sources when using images, audio and video. Much attention has been focused on citation and plagiarism advice about the correct use of textual material, but it is increasingly important to do the same when working with other types of media. The tool searches open media (images, sound and video) from Flickr and Wikimedia and aims to automatically attribute the appropriate license. Find out more about how to find, evaluate and use images, audio and video in this series of Virtual Training Suite tutorials produced in partnership with JISC Digital Media. The shortlisted candidates for the Times Higher Education Awards 2010 have been unveiled for various categories including the Outstanding ICT Initiative that will be judged by JISC. If you have not heard about all the six contenders, they are listed below with a few words on some of the innovative work that they have been doing. The University of Bristol ChemLabS is a CETL that also provides e-learning tools for chemistry and science subjects. They produce resources for individuals, schools and universities, via their LabSkills software and Dynamic Laboratory Manual. The Open University iSpot is a website aimed at helping anyone identify anything in nature. You can add an observation to the website and suggest an identification yourself or see if anyone else can identify it for you, as explained by Chris Packham. The Harper Adams University College Open Fields site is an internet library designed “to meet practitioner and student demand for knowledge that supports and stimulates the development of land-based industries”. 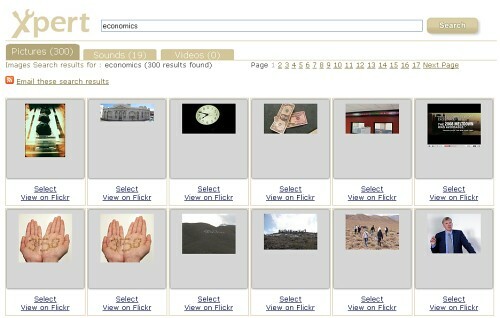 The University of the West of England SHE (Simulations in Higher Education) initiative enables students to experience simulations of events and situations that are difficult or impossible to organise, before they put their skills into practice in the real world, by using Second Life. The University of Ulster SLOODLE initiative is an Open Source project which integrates the multi-user virtual environment of Second Life with the Moodle learning-management system. It connects the two environments via chatrooms, quizzes, voting mechanisms, note writing tools and presentations. The University of Leicester Media Zoo is a research dissemination forum and a supportive, experimental environment for staff to understand the design of learning activities using learning technologies. It has physical, online and 3D manifestations, as well as someone with a very cool job title. Good luck to all the nominated initiatives for awards night! Last week the Virtual Training Suite team attended the Economics Network e-learning symposium. Among a series of presentations on how economics lecturers were using technology, Paul Latreille of Swansea University spoke about “Tweaching for Economists“. Paul emphasised the thought process that he had gone through before using Twitter in his teaching. Economics Network surveys have highlighted the absence of a shared responsibility in learning and a desire amongst students to have a more active role in their learning. Paul was looking for a way of encouraging greater student engagement to produce learning via interaction, but it was important not to use a tool just for the sake of it – technology last, not first. By using course codes or a course based accounts you can Tweet interesting websites / readings to students. You can contribute items of more than 140 characters in length by using TwitLonger. Add pictures, images and graphs by using TwitPic. Manage personal, professional or course based accounts in one place via HootSuite with the added bonus of being able to schedule Tweets e.g. reminders about assignment deadlines or lecture times. As an alternative to PRS (Personal Response Systems) or clickers by using TwtPoll. And he heard about all these possibilities, just by following people on Twitter. Or to put it more formally, you could see some suggestions for Tweaching via this Framework for Teaching with Twitter (Rick Reo, adapted by Mark Sample). Twitter is a difficult service to recommend within a Virtual Training Suite tutorial as students are often reluctant to engage with Social Media for educational purposes, but it is refreshing to see such innovation in teaching that encourages more active learning. More top tips and links to websites are available by following @VTStutorials on Twitter.